Yuri Tomikawa is the Founder and CEO of Zencare, a company she started after struggling to find a therapist herself. 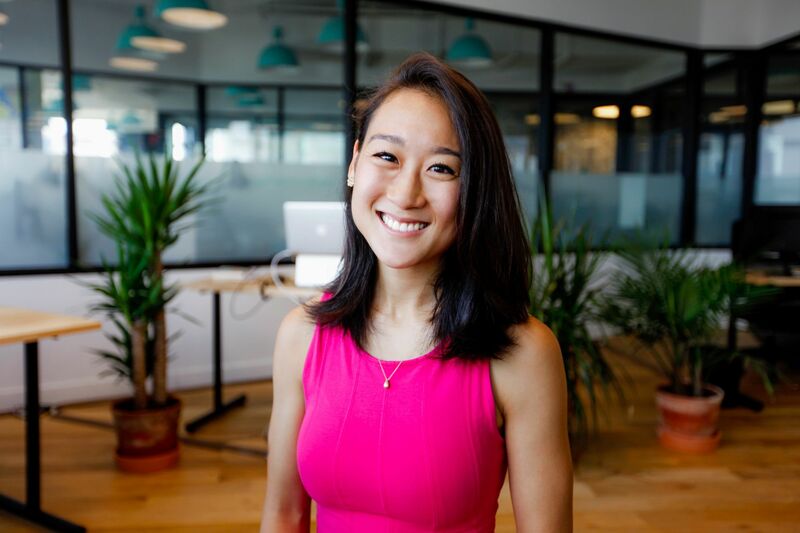 Her company now helps thousands of individuals connect with clinicians in New York, Boston, and Rhode Island. Yuri is a fierce advocate for mental health access, personal wellness, and female empowerment. Here's what her days look like and how she cares for her mental health! Zencare is the simplest way to find your ideal therapist. Therapy seekers can browse our network of quality vetted therapists, watch introductory videos of therapists to get a sense of what they are like, and book a free initial call to find a great fit! I was looking for a therapist myself after feeling completely lost in my career and found it to be an extremely overwhelming logistical nightmare. I went online to find a therapist but couldn’t figure out which therapist was good, what they each specialized in, or who was going to be a good fit. When I did reach out to a dozen or so providers, only half got back to me, and of those, another half or so weren’t accepting new clients or were charging fees that were much higher than what they listed online. Some were just outright rude, too. I started Zencare to solve these problems, and to make the therapist search process easier and smoother for others. Can you walk us through a typical work day? Every day is so different! Most of my days are spent in a combination of strategy setting and analysis, product improvements, team workstream management, outcomes assessments, and implementing whatever I can help out with that the team is working on on that particular day or week! I’ll get to the office around 8am and work through the day here. Until last year I also was our team photographer, so I was in transit most of the day going between therapist office to take photos – now we have a team of photographers and I have the luxury to work from the office most of the day, which has been a welcome change! I love working with my team and we try to do proper team lunches for quality team time. I might have at most a handful of meetings throughout the day, but I’m typically able to focus most of my time on just getting tasks done. I typically leave the office by 8pm – I had a streak of days where I was working until 11pm, but am really trying not to do that now. My recent goal has been to get a full 8h of sleep in. I value my therapy time! I have therapy sessions two or three weeks in a row every few months as a way to give my brain and heart room to breathe, reset, and work through any pressing concerns. On a physical level, my go-to self care tactics are yoga (favorite is Jivamukti yoga in Manhattan) and reiki (Jen Benetato in NYC is great). I highly recommend reiki for those who haven't heard of or tried it. It’s energy work that feels like a bit of magic, and allows me to have the best sleep afterwards. And finally, I always enjoy a good show at night – right now, Parks and Recs! I also really enjoyed Crazy Ex-Girlfriend, Big Little Lies, and Mad Men. Therapy! Being honest and transparent with my team. Celebrating wins and surrounding myself with positivity! My partner Sean! We’re super silly at home and are always goofing around and making each other laugh like little kids. Smiling, laughing, and celebrating wins with my team! Also a window office with sunlight is a must for me! I love my work, team, and company, and couldn’t ask for more right now. Recently I’ve especially come to especially admire and appreciate my parents. My mom for being just the most loving and lovable mom, returning to the workforce after twenty years of raising kids, and now kicking a** at work. My dad for paving the way to internationalizing Japan’s real estate, defying norms in a conservative industry, and all the while being the most dedicated dad to my family, and son to his parents. I’ve come to appreciate their many dimensions as I’ve grown up. I am also major crushing on Lady Gaga right now. What’s non-negotiable in your self-care? Date days (Sean and I set a date day every month and it’s a helpful way to make sure we have intentional quality time together), yoga, and therapy! Uncertainty of whether we would make it or not in the first few years. Do you have a mantra or a piece of advice you received that helps you get through difficult times? We’ve helped thousands of people find therapists. Every time someone tells us they’ve found a therapist through Zencare, that makes me incredibly proud. Ideally I’d like to go to yoga every day — I was on a great streak for the first nine months of last year and then lost it when work got busy. It’s taken a back seat in the midst of other work needs, but I want to get back into it! Letting the team know that their mental and emotional health is important and leading by example are really important. It’s ok to leave early for a therapy session, run to lunchtime yoga, or take on a post-work hobby to unwind. I try to encourage whenever I hear colleagues doing things for their self care.